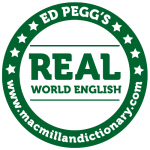 Welcome to the fifth in this series of posts on Real World English by Ed Pegg. In this series of videos and blog posts we are looking at how words are used in context around the world and how differences in usage in different countries and cultural contexts can cause misunderstanding. We look at differences between US and British English, some common expressions in other English speaking countries and also give you an understanding of the complex topic of pragmatics – how language is used in context. In the fifth video Ed looks at the different ways US and UK speakers use the word school. I went to a school that was free of charge: it was paid for by the government. That means I went to public school, right? Well, if I went to school in the USA it would but, because I went to school in the UK, I actually went to a ‘state school’. In the UK, a ‘public school’ is actually a private school, where students pay money to attend. In the USA, these are simply called private schools. You’ll hear people talk about private schools in the UK too. Any school that you have to pay to attend is called a private school, but in the UK the oldest, most expensive private schools are called ‘public schools’. This very confusing title has historical roots. The first schools in England were created by the church and you had to be a priest to go to school. Then schools were created that the ‘public’ (ordinary people) could attend, earning them the name ‘public school’. It’s not that straightforward in the USA either. Although people will either go to public or private school, they might say something like ‘Harvard is a really good school’. But Harvard is a university, not a school. In the US, it’s common to refer to university as ‘school’. This is unusual in the UK, where we talk about school and university separately. Another word you might hear is ‘college’. A college is normally a separate organization where you study between school and university. However, some universities are divided into ‘colleges’, for example, King’s College, Cambridge: Cambridge University is divided into many colleges and each college is part of the university. The last way school can be used is to refer to a department of a university, such as law school or the school of media studies. When used in this way, it simply means a department of a university. So, I hope that answers any questions you might have about school.